I have a lot of projects I’m currently working on. Some knitting, some not, but all using yarn. 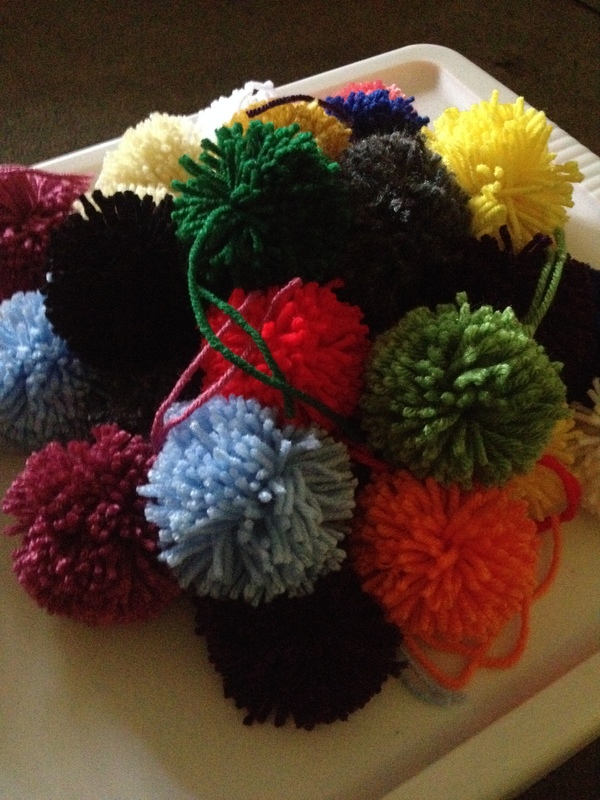 After my last blog post about my new Pom-Pom maker I’ve made about 30. I saw something and had to make it for myself. No pictures yet as it is not done but here is a picture of the pile. 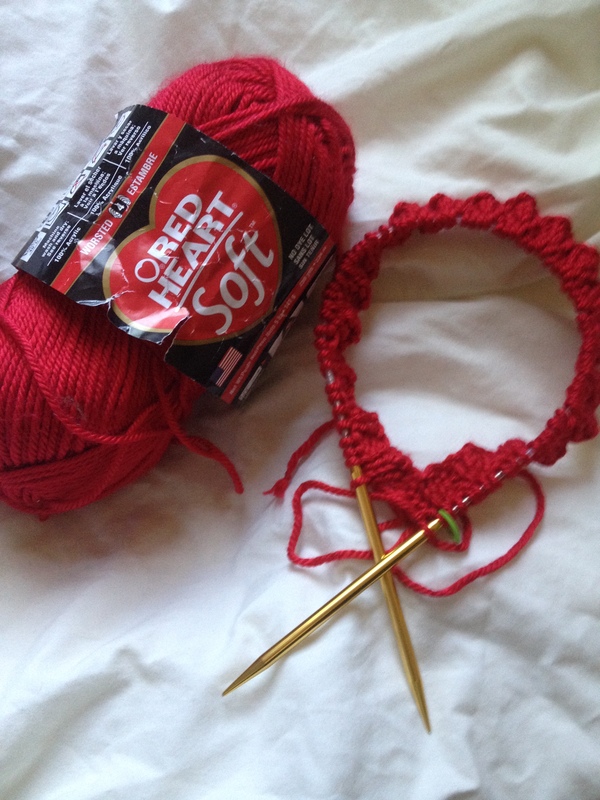 I’ve also started a hat. I thought why not, I have yarn and I just put my Foolproof pattern up so why not make one myself. I found this pretty red in my stash so why not use it up. And finally this lap blanket, so simple and easy to make. 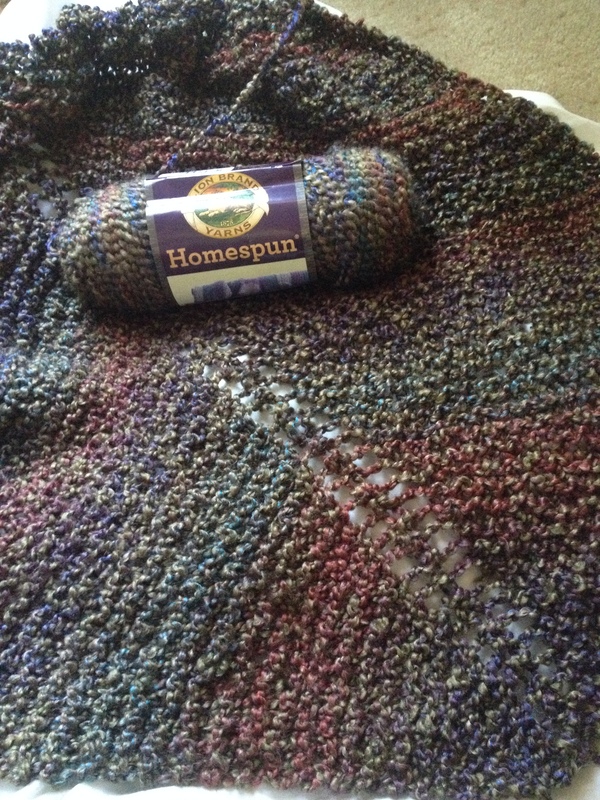 It takes two skeins of Lion Brand Homespun yarn. You can find a similar one in my Etsy shop here. I’ve just added the second skein and when it’s completed it’ll be added to the shop too. I have a couple more things I’m working on but I’ll leave those as a secret for now.